For a complete list of publications, please review the vitae of project staff. To download a copy of the report, click on the cover image below. Gaumer Erickson, A.S., Sanford, H., Patton, J.R., & Clark, G.M. (2015). Transition Instruction Guide: Standards-Based Activities. Austin, TX: PRO-ED. Noonan, P. (2014). Transition Teaming: 26 Strategies for Interagency Collaboration. Arlington, VA: Council for Exceptional Children. Gaumer Erickson, A.S., Clark, G.M., and Patton, J.R. (2013). Informal assessments for transition planning [2nd Edition]. Austin, TX: PRO-ED. Gaumer Erickson, A.S., Noonan, P.M., Brussow, J.A., & Gilpin, B. (2014). The impact of district Indicator 13 compliance on post-school outcomes. Career Development and Transition for Exceptional Individuals. Zheng, C., Gaumer Erickson, A.S., Kingston, N., & Noonan, P.M. (2014). The relationship among self-determination, self-concept, and academic achievement for students with learning disabilities. Journal of Learning Disabilities. Noonan, P., McCall, Z., Zheng, C. & Gaumer Erickson, A.S. (2012). An analysis of collaboration in a state-level interagency transition team. Career Development for Exceptional Individuals, 35, 143-154. Gaumer Erickson, A.S., Noonan, P.M., & McCall, Z (2012). Effectiveness of online professional development for rural special educators. Rural Special Education Quarterly, 31, 22-32. Lee, S., Wehmeyer, M.L., Soukup, J.H., Palmer, S. (2010). Impact of curriculum modifications on access to the general education curriculum for students with disabilities. Exceptional Children, 76(2), 213-233. Noonan, P.M., Morningstar, M.M., & Gaumer Erickson, A.S. (2008). Improving interagency collaboration: Effective strategies used by high performing local districts and communities. Career Development for Exceptional Individuals, 31(3), 132-143. Soukup, J.H., Wehmeyer, M.L., Bashinski, S.M., and Bovaird, J. (2007). Classroom variables and access to the general education curriculum of students with disabilities. Exceptional Children, 74(1), 101-120. Mellard, D., Noonan, P.M., & Gaumer Erickson, A.S. (2014). 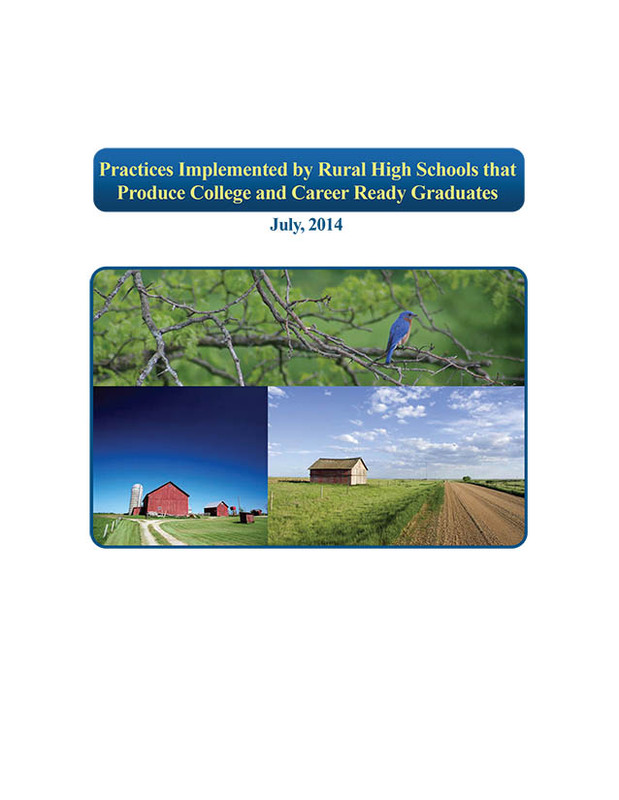 Practices implemented by rural high schools that produce college and career ready graduates. Lawrence, KS: University of Kansas, Center for Research on Learning. Soukup, J., Noonan, P. & Wetta, M. (2014). Arizona secondary transition mentoring project/college and career readiness team training annual evaluation report. Lawrence, KS: University of Kansas, Center for Research on Learning. Noonan, P.M, & Gaumer Erickson, A.S. (2012). Transition Assessment Toolkit. Washington, DC: Office of the State Superintendent of Education. Gaumer Erickson, A.S. (2013). Kansas Co-Teaching Initiative Annual Dissemination Report. Topeka, KS: Kansas Department of Education. Noonan, P., & Gaumer Erickson, A. (2012). Secondary transition toolkit. Washington, DC: Office Division of Special Education, Office of the State Superintendent of Education (OSSE) Government of the District of Columbia. Noonan, P.M. & Gaumer Erickson, A.S. (2012). Missouri Integrated Model [SPDG annual dissemination report]. Jefferson City, MO: Missouri Department of Elementary & Secondary Education. Gaumer Erickson, A.S., Knight, C., Huffman, C., Noonan, P., & Williams, P. (2013, Dec. 5). Implementation drivers series: Selection. SPDG Project Directors’ Webinar. Gaumer Erickson, A.S. (2013, Oct. 17). The proof is in the PD: Evaluating the quality of professional development. American Evaluation Association International Conference, Washington, DC. Gaumer Erickson, A.S. & Ballay, M. (2012, Dec. 3). Goal Attainment Scales as a method to measure progress. SPDG Project Directors’ Webinar. Gaumer Erickson, A.S., Zheng, C., & Gonzales, P. (2011, June 14). Strategies for using comparison groups in evaluation. SPDG Project Directors’ Webinar.